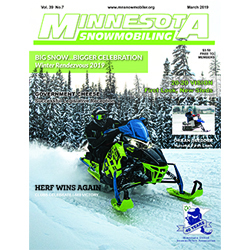 Sledder News Archives - Midwest Sports Publishing Network, Inc.
Fertile, MN (April 24, 2019) – In a departure from the normal ditch, woods and ice format Christian Brothers Racing cross-country riders normally see, the final event on their calendar was held on the slopes of Andes Tower Hills ski area in Alexandria, Minnesota, April 5-6. 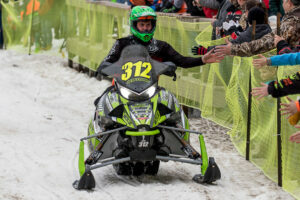 Joining the team for the weekend was Pro snocross rider Logan Christian. 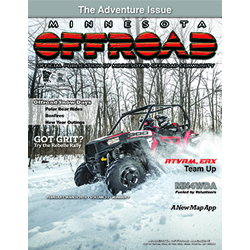 Zach Herfindahl proved once again in 2019 that he is the rider to beat in cross-country snowmobile racing, walking away from Alexandria with both the Pro Factory 600 and Pro Open points championships. At Alexandria, he took a 2nd place finish in Pro Factory 600 and only a mechanical issue kept him off the podium in Pro Open. In addition, he walked away with a $500 cash prize after finishing second in Friday Night’s shootout event. With his snocross season wrapped up, Logan Christian decided to try his hand at some cross-country. The ski hill format played into his snocross experience, and he was more than ready for the slopes. Christian won Friday night’s shootout, pocketing $1,000 in prize money, and then claimed 3rd place podium finishes in both Pro classes. While David Brown has raced in the Pro classes all season, his focus is on Semi-Pro Factory 600. Brown left the final event with a second place finish in the final points standings, just 20-points back from the leader. A small margin in cross-country racing. Brown also walked away from Alexandria with the win in Semi-Pro Factory 600, a perfect cap to his first season on the Christian Brothers Racing cross-country team. For more information on Christian Brothers Racing visit www.christianbrosracing.com. Follow Christian Brothers Racing on Facebook, YouTube, Twitter and Instagram. Catch up on race re-caps by going to the Christian Brothers Racing Youtube channel. Click on the link below for the recaps for the last two races of the 2018-2019 season. (April 20, 2019) – Are you ready for the fast fire on ice racing in 2020! Featuring 2 Tracks, one Pro Track and one Radar Run Track, both with professional photocell timing systems! Trophies for First, Second, and Third Place on the Radar Run and over 40 classes for sleds, Vintage, Kids, ATV’s, and Motorcycles. Prepare to watch our TopGun Competition for the fastest sleds on Ice! Registration at 8AM to 2PM on Saturday with Racing Action from 10AM to 4PM (Sunday is Backup Day). Ice Celebration Festival: January 11, 2020 @ Brainerd Area – Ernie’s on Gull Lake, Top Gun Challenge will begin at Forest Lake Race. www.erniesongull.com. Northern Minnesota Top Speed Event at $1000, Sunday the 12th Backup Date. Ice Blast: Forest Lake, MN January 25, 2020 on Forest Lake. (Town Access) Hosted by Vannelli’s by the Lake (http://www.vannellisbythelake.com), Waldoch Sports, Straightline Performance, and PowerMadd. TopGun Challenge Event no. 1, $2500 top speed. Battle on the Bay: February 15, 2020, on the Bay of Green Bay in Howard, WI. This is a huge event with the Bikini Run and a lot of Ice Activities! Held in conjunction with the ISR World Series of Drag Racing! TopGun Challenge Event no. 2. Winterfest Finale: February 22, 2020 in Chetek, WI. NSSR will be part of the Chamber of Commerce and Winterfest Celebration with a weekend of fun, Music, Treasure Hunt, and ice activities for the kids! TopGun Challenge Event no. 3.